Whether you’re 25 or 55, becoming a home owner is a wonderful feeling. There’s nothing like having your own patch of earth to call your own. Which is why buying your first home is so exciting! However, it’s also common for first home buyers to feel a little overwhelmed. After all, it’s likely to be one of the biggest purchases you’ll make in your life. From budgeting and securing a loan, to finding the right land and house, there are lots of considerations and important decisions to make before your dream home becomes a reality. 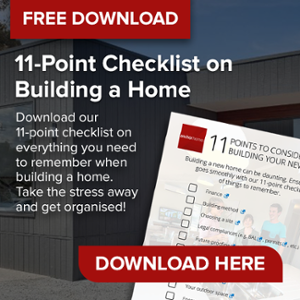 If you’ve decided to buy your first modular home, it can be hard to know where to start – so we’ve put together this guide to take you step-by-step through the process. To keep it simple, we’ve broken down it into six key areas: budgeting, finance, buying land, design, construction and resale. So, read on to discover our step-by-step guide to buying your first modular home! Understanding how much you can afford to borrow is a must before you start looking for your first property. Lenders will assess your borrowing power by calculating how much you can comfortably afford to repay. They’ll look at your wages, savings, debts and living expenses and come up with a figure they’re confident you can manage. However, it’s unwise to accept the amount your lender is offering without first doing your own budget calculations. Be sure to include not only your current expenses, but the added costs you’ll encounter as a home owner such as rates, insurance home maintenance and repairs. It’s also a good idea to allow for changes in your circumstances (such as starting a family or changing jobs) and interest rate rises that may occur in the years to come. How much do first home buyers need to save for a deposit? The deposit required for your new home depends on several factors. This can include the amount you wish to borrow, your income, employment history, debt, credit rating and the lender-assessed property value. As a guide, the typical deposit required for a home loan is 20%, however it is possible to obtain finance to buy a home with less – even as little as 5% (please note: Anchor Homes is not a finance expert. Please talk to your bank for mortgage lender for accurate information). With any home purchase, the bigger deposit you have the better. It shows you’re a good saver which can increase the chances of your loan being approved. Your loan, repayments and interest payable may also be less, which gives you a better chance of paying off your home loan sooner. Plus, when you have a smaller deposit, it can also mean you’ll need to pay extra on your loan for lenders mortgage insurance. When you build a new home, it’s important to understand there may be additional costs that you need to pay on top of the purchase price. For example, if you’re building on a sloping site or have rocky soil it can add thousands to your build. Connection to services can also be costly in some locations. 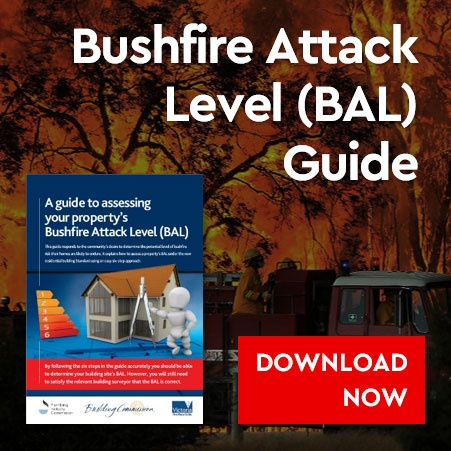 Also, if your block is in an area at high risk of bushfire or covered by planning overlays you may need to spend extra on meeting special requirements. 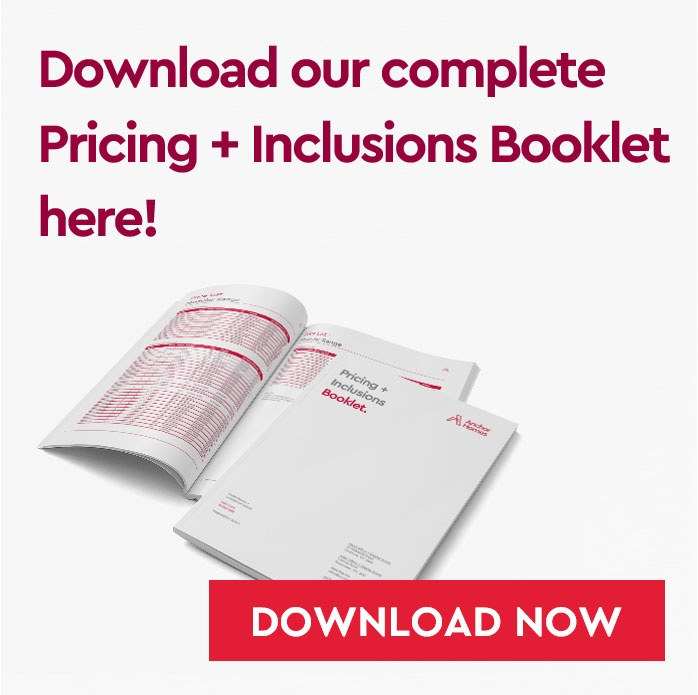 It’s important to look at the list of inclusions carefully. Make sure all the essentials are covered, and the standard inclusions offered are of an acceptable quality. Keep in mind that any modification to your design or upgrades on fittings and features will also incur additional costs. The First Home Owner Grant is a national scheme available to eligible first home buyers who buy or build a property to live in. The criteria differs between states, but it is generally available to first home buyers who are over 18, permanent residents or citizens of Australia, who are purchasing their first home as an individual. You must also live in the residence for at least six consecutive months and have not received the grant previously or have lived in a residential property that you owned from 1 July 2000. Depending on the location of your home, you may be entitled to additional benefits when you apply for the grant. These can include discounts on stamp duty or larger grants when your property is located in a regional area. Is a pre-approved loan the same as an unconditional loan? When it comes to finance, first home buyers often opt to get pre-approval (also called conditional or approval in principal) from their lender before starting their search for the perfect home. A pre-approved loan is an indication of how much you may be able to borrow and is not a guarantee that you will be approved. The pre-approval is subject to certain conditions including the valuation of your chosen property. Unconditional approval is granted when the lender is satisfied that all conditions of a pre-approved loan have been met. At this point they are ready to sign off on the loan and provide you with the funds for your property. Can you get a pre-approved or unconditional loan for your modular home? 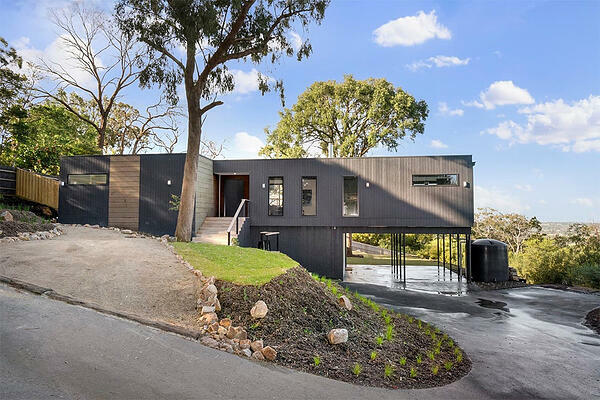 While modular construction offers plenty of certainty around budget and time frames for first home buyers, some lenders are unsure about how to best service a loan for a modular home. This means it’s important to speak to your lender as soon as possible to explain the process as many do not fully understand how modular construction works. Some lenders will be happy to offer a pre-approved or unconditional loan for a modular home, while others will refuse as it doesn’t fit their criteria for a construction loan. Our project consultants or a suitably qualified mortgage broker can offer advice based on their experience about which lenders are best to approach. What do lenders look for when providing pre-approval for modular homes? When it comes to gaining pre-approval on your loan, choosing a registered builder with a strong track record in modular construction is a definite plus. Having a deposit of 20% or more to contribute and a solid credit rating is also beneficial. In addition, if you have an alternative equity source it can make it easier to get things started. 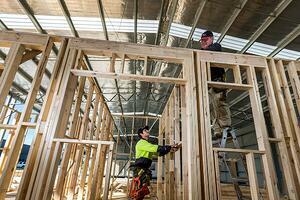 Is it easy for first home buyers to get a loan to build a modular home? Getting finance to build your modular home can be a challenge, as the off-site construction method places it outside the lending criteria of a typical construction loan. However, hundreds of our clients have successfully borrowed funds to build their dream home through a variety of lenders so it is definitely achievable! To save yourself time and hassle, be sure to approach your lender well-prepared. If they are unsure how modular construction works, explain things in detail, emphasising that while construction occurs off-site, the end result is a home on permanent foundations just like a site-built house. Talking to your modular builder can also be a great help. 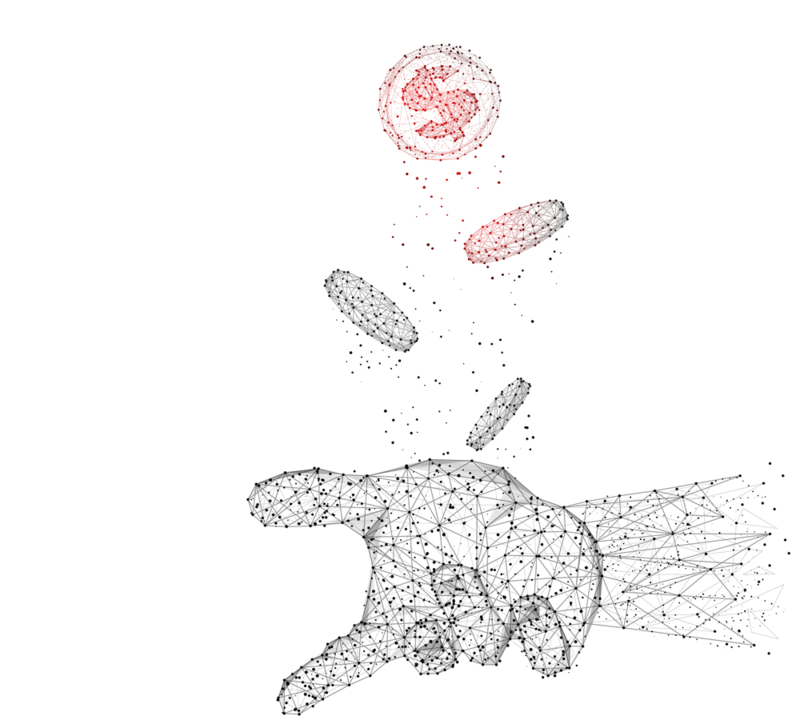 They can offer tips for securing finance and can also provide contact details for mortgage brokers that have previous experience obtaining modular home loans. Finding the right location for your new home is a must, as it impacts everything from your lifestyle to your resale value. Look for towns and suburbs that meet your immediate needs such as being close to school, work and family. Your chosen location should also be somewhere you feel safe and happy, so spend some time visiting the local shops, cafes and attractions to be sure it feels right. Importantly, it also needs to fit your budget, so speak to local real estate agents to find out the price range for land. If it’s outside of your budget, enquire about neighbouring suburbs that are more affordable. Before you commit to buying any block, make sure you’re clear on any additional expenses you’ll need to pay on top of your purchase price. Buying a bad block can blow your budget fast, so be cautious of any land that is super cheap – there’s usually a good reason! When you find a block that you like, contact your builder as they can offer expert advice based on their experience. They can highlight any potential issues and give you confidence that your chosen block will be suitable to build your first home without any costly surprises. Is it possible to build your modular home on a sloping block? Modular homes can be built on sloping blocks, however like conventional builds, it can present some challenges and additional costs. Planning overlays may apply requiring special measures to prevent erosion, access can be difficult and excavation and retaining walls are often required. You’ll also need balustrading on your decking if it is more than 1 metre above ground level. On the positive side, a sloping block can provide spectacular views. Plus, you’ll often save money on the purchase price of the land. If you’re considering building on a sloping block, our project consultants can assess your site and explain any additional costs prior to construction to be sure it offers value and is a good fit for your modular home. How do you find the right modular home builder? Finding the right modular builder can make or break your project, so be sure to do your research. Look for a builder who has a proven track record building quality modular homes, with testimonials from happy clients to back it up. They should also have an extensive list of inclusions and be open to upgrades and customising your design to suit your exact needs. Make a shortlist of at least three builders, then meet with them face-to-face to find out more about their homes, process and prices. Assess their communication methods and willingness to listen to your ideas and involve you in the process. Go with your instincts when making your final decision, and make sure you’re 100% happy. Working with a builder you trust and feel comfortable talking to gives you the best chance of a successful and stress-free project. There’s no shortage of options when it comes to modular home designs, which can make it hard to decide. When choosing your floorplan, start by working out the right size home for your family and lifestyle. From there, be guided by your budget, preferred layout style and unique living requirements. Your facade is the face of your home, so choosing one that matches your personal style, house design and surrounds is the key to getting it right. Each modular home design comes with a facade as standard, but if you prefer a different option, you can always customise your facade to suit. 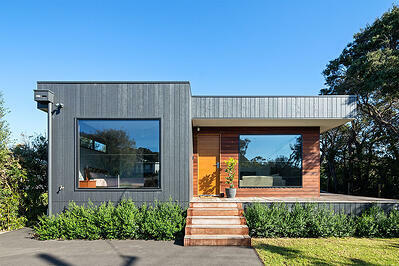 To help you, we have created a list of 4 modular homes perfect for first home buyers. 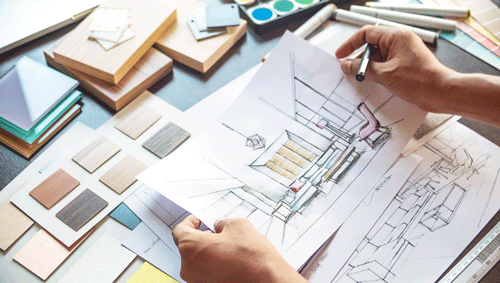 Is it possible to customise the floorplan to suit your needs? Modular designs can be flipped, altered and customised to suit your exact requirements. From small changes to layouts, to custom designs from scratch, our designers will work with you to make the necessary changes so your home is the perfect fit for you and your family. Keep in mind that customised designs will generally incur extra costs and will often take a little longer to design and build. However, when the result is a first home that’s made just for you, it’s worth it. What are the standard inclusions on a modular home? The standard inclusions vary from builder to builder, so compare them closely to ensure you’re getting good value. Find out about your choices from within the standard range and the quality of appliances, cabinetry, tapware, fixtures and flooring. You should also ask about your options when it comes to upgrades, as a few well-chosen special features can really elevate your home to something special. From preliminaries like permits and warranties, to the finishing touches like painting and floor coverings, make sure the inclusions cover everything you need. That way, when it’s time to handover the keys to your new home it’s complete and ready for you to move in and enjoy. Before construction commences on your first home, there are some important things to take care of. During your first appointment we’ll help you find the perfect design, discussing customisations if required. We’ll then provide you with a cost estimate and once you’re 100% happy, we’ll move to the pre-contract stage. 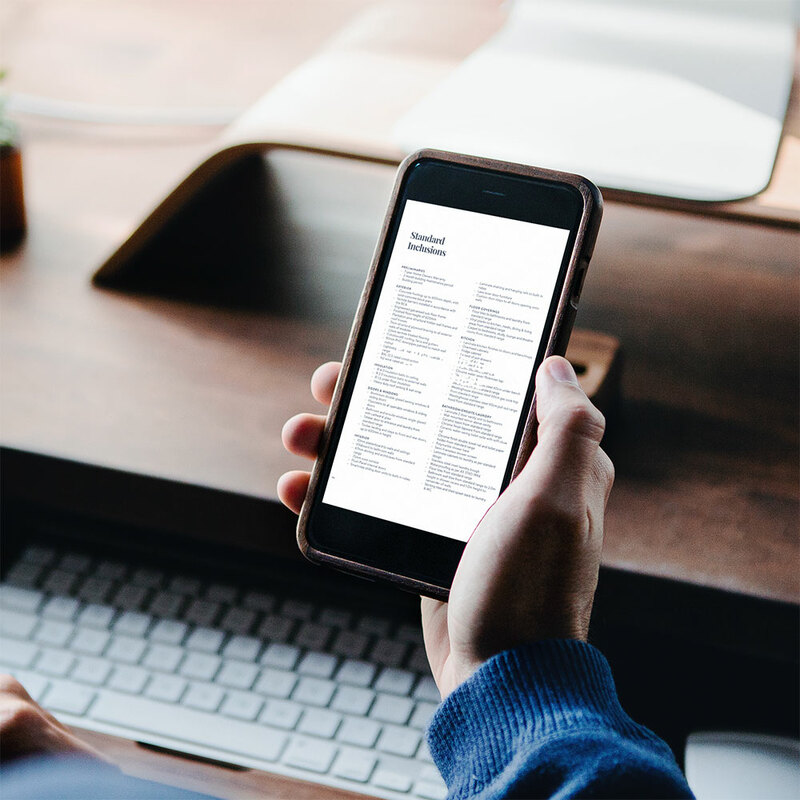 At this point a deposit is paid that covers the necessary preliminaries including your working drawings, site survey, soil report, energy rating and BAL rating. Once the results of the preliminaries are obtained, we’ll provide fixed costings for your approval. Next, the planning application is submitted (if required) and throughout the process we’ll keep in contact with your council to ensure your application is processed as quickly as possible. When your planning permit is received, you’ll finalise your colours and finishes with our colour consultant. 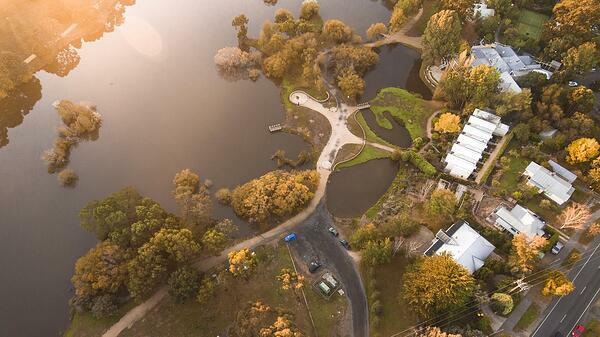 From there, the building permit is obtained and construction can begin. What happens during the build and delivery process? Once your design is finalised and you’ve obtained all the required permits and approvals, construction on your new modular home will commence. Modular homes are built off-site in a factory environment, before being delivered by truck to your site for installation. Homes are built to around 95% before delivery, and this includes everything from the steel floor structure to cabinetry and painting. During the final weeks of construction, our site team will be on site preparing the footings and connections on your block. When your new home arrives on site, our team will install it and add the finishing touches. We’ll then make a final inspection together to ensure everything is just right, before handing you the keys for your new modular home. 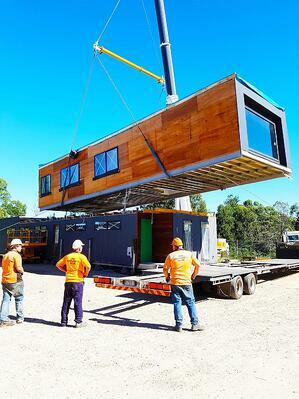 How long will it take to build your new modular home? 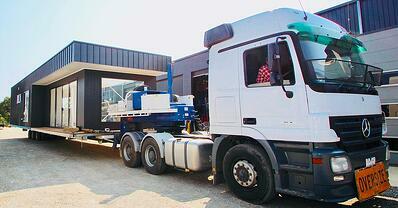 The off-site construction minimises delays and makes it possible to overlap with the on-site works. 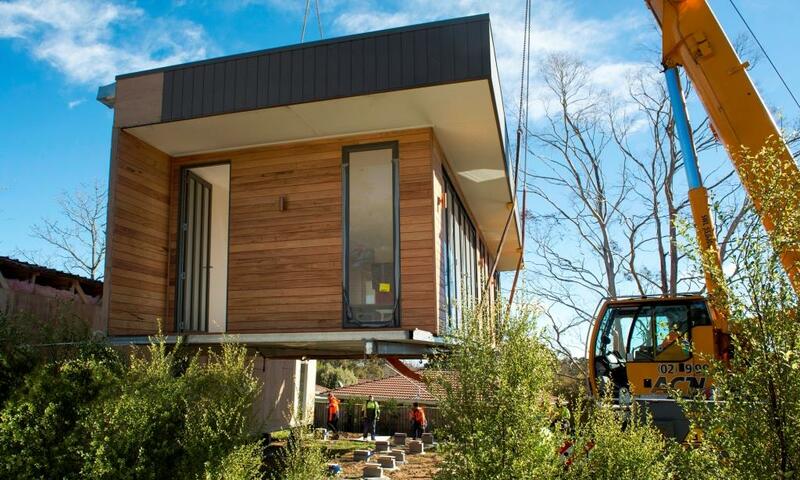 This means modular homes can be built faster than conventionally built houses. Once the building starts, construction at the facility generally takes around eight weeks depending on the design. After delivery, an additional 4-6 weeks are then spent on-site to install your home and bring it all together. This means the total construction time for modular homes can be as little as 12-14 weeks. Of course, the time it takes varies from project to project, with smaller homes sometimes built faster, and larger custom designs taking longer. But the good news is, that you won’t be waiting many months or even the better part of a year to move in and enjoy your new home! Is the resale value of a modular home less than a conventional home? Although modular homes are built off-site, they are placed on a permanent foundation just like a site-built home. This means the resale value is no different to a traditionally built home. The resale value of your home will depend on a range of factors including your location, house size, design features, presentation and land. Are modular homes suitable for rental properties? 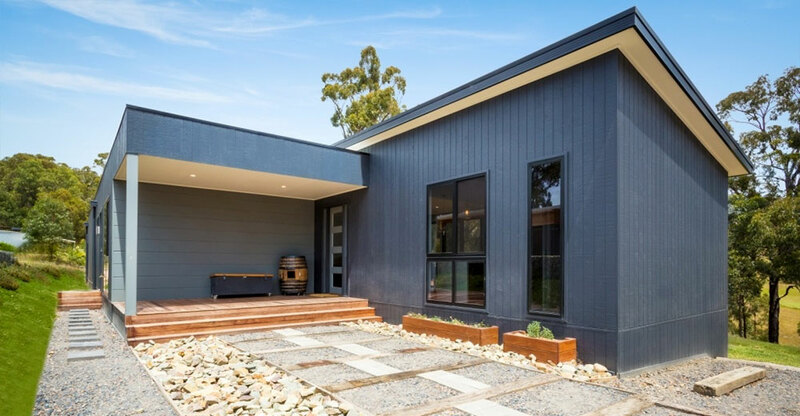 Modular homes make an ideal investment property, as they offer great flexibility with design, low-maintenance features and faster build times. They are commonly used as holiday rentals in coastal and rural locations (like this stunning Airbnb property in Rye) and can also be used as a rental properties in urban areas with longer-term tenants. Buying your first home is a huge moment in your life – which means it can also be overwhelming! Choosing a modular design for your first home can help to make the process faster, easier and more affordable. 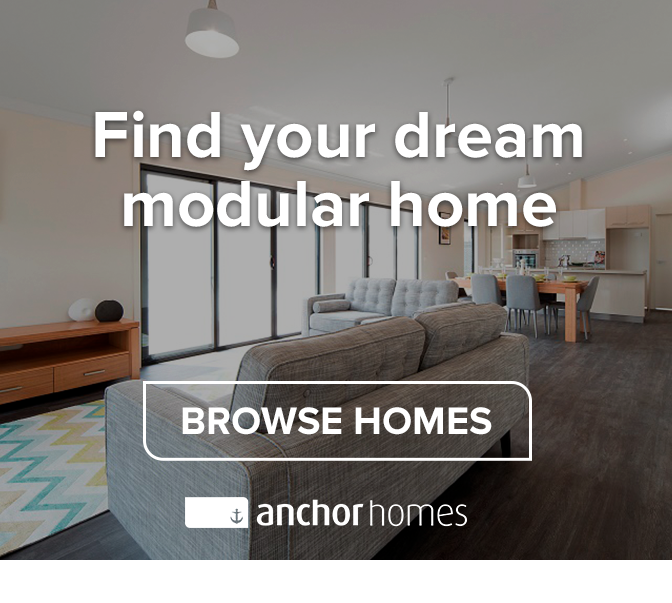 When you build a modular home there is a huge selection of floorplans to choose from, and all are easily adapted and customised to suit your needs. The range includes options to suit all budgets, including those who are entering the market for the first time. The design and construction process are both smooth and hassle-free, with less chance of outside influences such as the weather and neighbours causing delays. And best of all, the build time is fast, which means you’ll be in your new home much sooner than if you were to build on site. 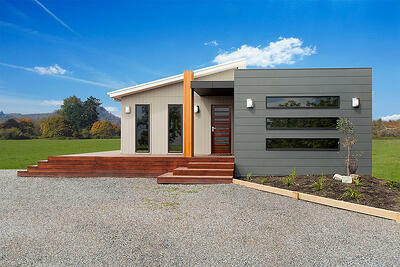 Have a question about building your first home or curious to know more about modular construction? Our project consultants are always happy to hear from you! You can get in touch by phone on 03 5145 7110 or by visiting us on Facebook.